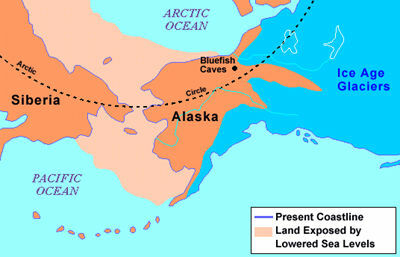 The importance of Beringia is twofold: it provided a pathway for intercontinental exchanges of plants and animals during glacial periods and for interoceanic exchanges during interglacials; it has been a centre of evolution and has supported apparently unique plant and animal communities. 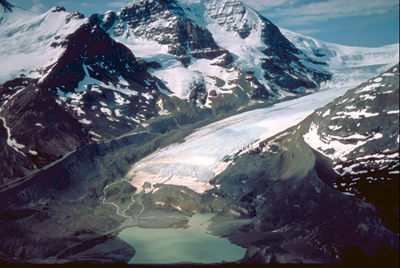 The Columbia Icefield is a mass of ice covering a high plateau between Mount Columbia (3747 m), the highest point in Alberta, and Mount Athabasca (3491 m), located between Banff and Jasper national parks, along the BC-Alberta border. A continental divide is a ridge or natural boundary of elevated terrain that separates the drainage basins of a continent. Each drainage basin contributes its water to river systems, which in turn flow into distinct larger bodies of water, such as oceans. 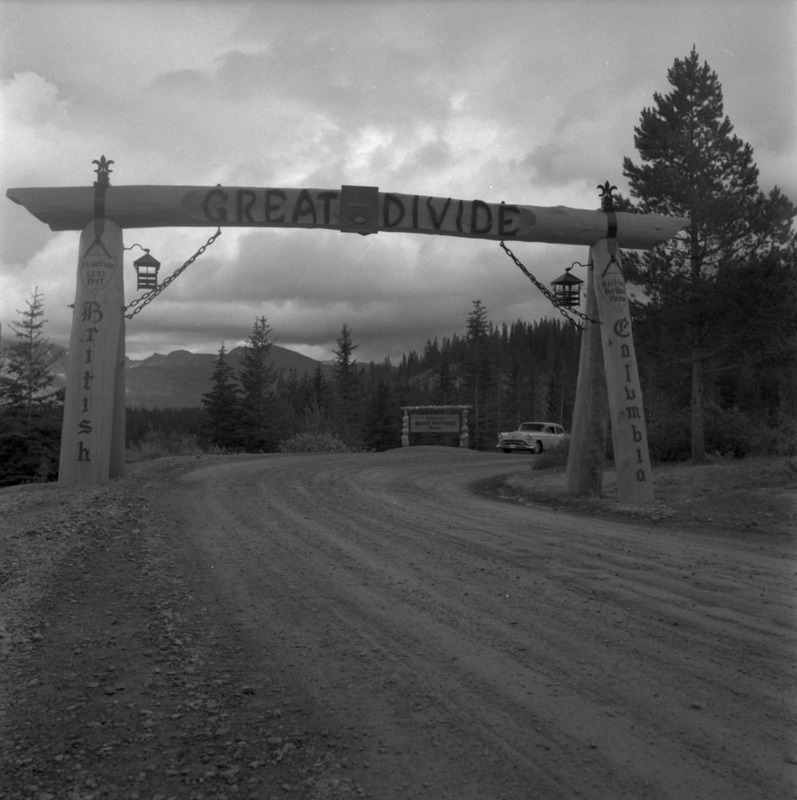 The main continental divide in Canada follows the ridge of the Rocky Mountains. FOSSIL bones were first discovered in 1978 in the rocks formed in the now vanished Haughton Lake. Height of land, a region of high ground that may act as a watershed. Earth's surface experiences change driven by relief, sea level, hydroclimate and human activity. Extreme hydroclimatic events combined with human activity on steep slopes and/or adjacent to low-lying coasts generate natural hazards. Long Point is a 40-km long sand spit on the north shore of Lake Erie. The longest spit in Canada, Long Point is the best surviving example of a wetlands and dune ecosystem in the Great Lakes basin. 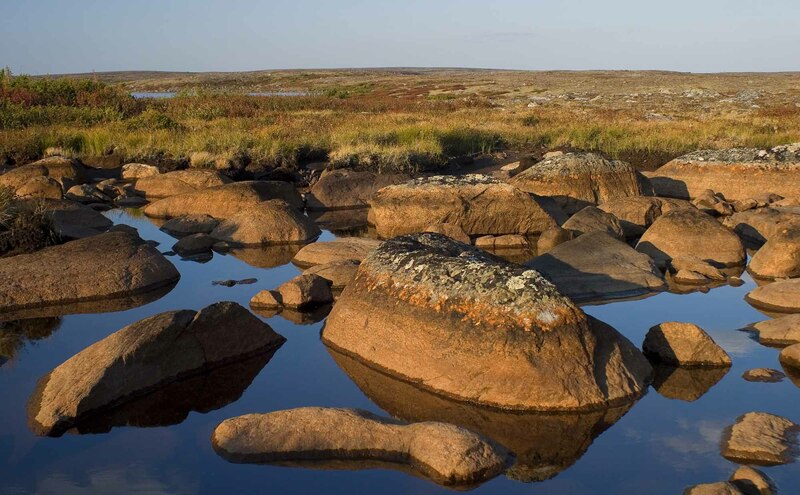 Muskeg (from Cree maskek and Ojibwe mashkiig, meaning “grassy bog”) is a type of northern landscape characterized by a wet environment, vegetation and peat deposits. Chiefly used in North America, the term muskeg escapes precise scientific definition. It encompasses various types of wetlands found in the boreal zone, including bogs, fens, swamps and mires. 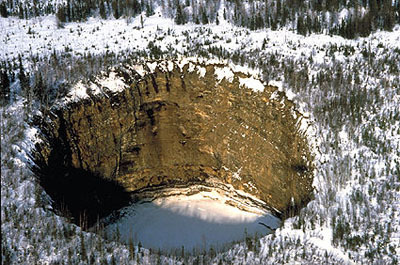 In Canada, muskeg and other peatlands cover up to 1.2 million km2, or 12 per cent of the country’s surface.